This post is sponsored by The UPS Store and Motherhood. All opinions are my own. Did that Christmas countdown make you feel a little stressed? Yes, that time is right. Christmas is right around the corner and my to do list is still a mile long. This time of the year is always so busy with so many Christmas gifts to buy and mail. Most of my family does not live near me so I have to always remember to plan plenty of time for shipping so they can get their gifts on time. This week I had a nice stack of boxes ready to head to The UPS Store for shipping. The thing I love most about The UPS store is that they are able to take something as stressful and shipping all of your holiday gifts and make it stress-free and enjoyable. This week when I went to The UPS Store, I went with a stack of boxes as well as bags of recently wrapped gifts. I didn’t have any more boxes at home so I had The UPS Store pack a few of my boxes. The UPS Store has everything that they need to carefully pack your boxes, including cardboard boxes, tape and packing peanuts, inserts, or protective air cushions. After watching them pack my boxes, I kind of wished that I had them pack all of my boxes because they did such a better job than me! 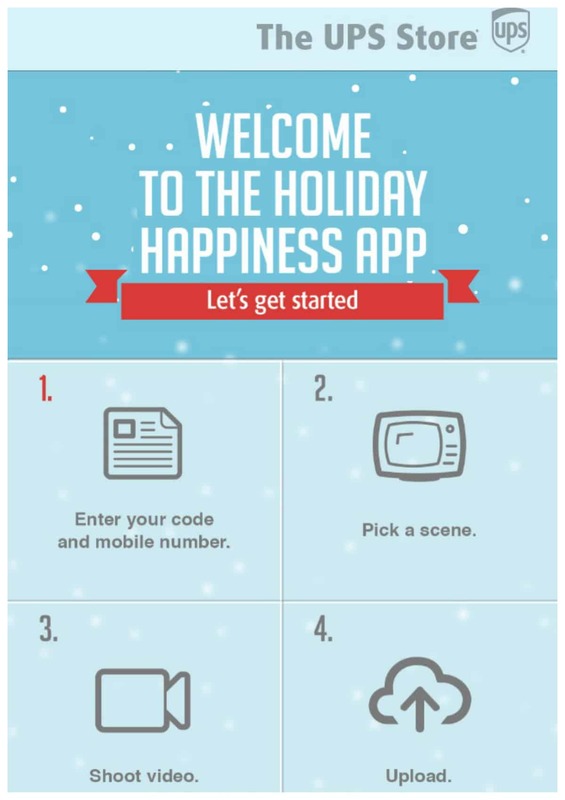 🙂 While you are there, don’t forget to as for a Delivering Holiday Happiness label. I love this. I often am in such a hurry that I don’t have time to personalize my gifts. I mailed my boxes and realized after that two of them didn’t even have any kind of cards in them! Oops! Luckily with the Delivering Holiday Happiness app I was able to easily personalize my gifts with a 15 second video. This is super easy to do and is done after you mail your packages. When your recipient receives their gift they will see the label that tells them about the customized message. This really makes gift giving fun. There isn’t much time left to mail your holiday packages before Christmas. The UPS Store offers these great holiday Packing tips to help keep the holidays worry-free. • Take batteries out of items before shipping. • Use a sturdy new box to provide additional protection for your items. 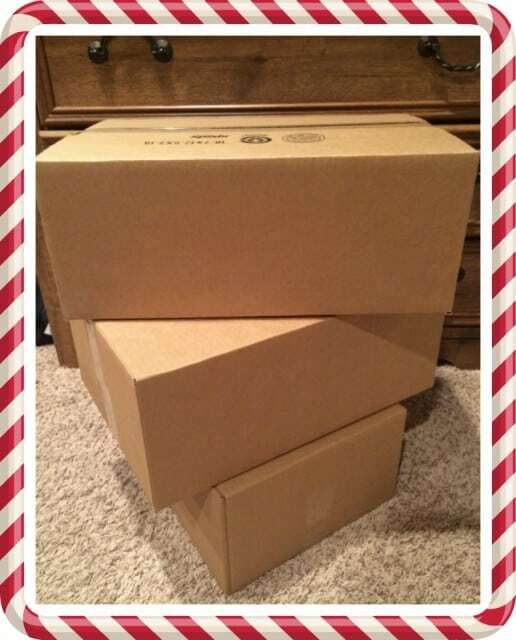 Do not use old boxes or gift boxes to ship gifts, or any string or wrapping paper on the outside of the package. • Use at least two inches of packaging peanuts on each side of your item. • Make sure the sender’s and recipient’s addresses are visible both inside and outside of the package. • Use packing tape on all package seams – do not use masking, cellophane or duct tape. • December 15-20 is expected to be the busiest shipping week, and Mondays are typically the busiest shipping days. • For the last minute shoppers out there, December 23 is the last day to ship via UPS for Christmas Eve delivery. 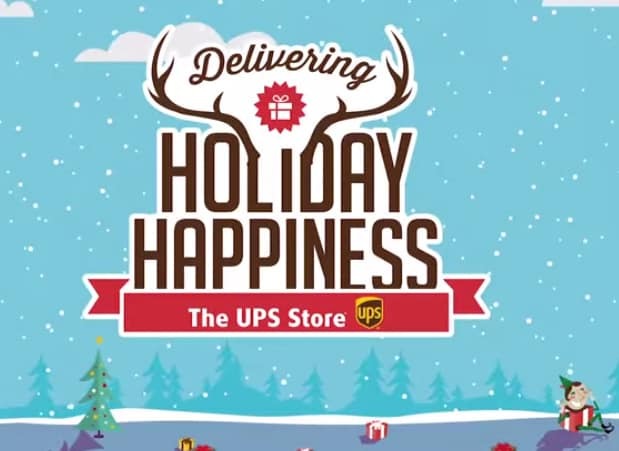 For more holiday packing and shipping tips, visit The UPS Store YouTube channel for a series of helpful videos that discuss the do’s & don’ts of holiday packing, how to pack and ship fragile items, and even tips on how to handle oddly shaped or unique gifts during the holiday season. How about a GIVEAWAY! One lucky reader will win a $50 VISA gift card!